While doing research for my previous post on foods dogs should avoid, I came across a variety of seemingly contradictory opinions when it came to raw foods like meat, bones, and eggs. Some people recommended against including raw meat and eggs in your dog’s diet due to their capacity to carry potentially harmful bacteria, enzymes, or parasites. Many sources also claimed that raw bones can be harmful since they are prone to splintering or can block your dog’s airway, and even high fat meat trimmings could lead to pancreatitis in dogs. However, there were quite a few people on the other side of the coin who were passionately arguing for the use of raw diets for dogs. So who should responsible pet owners listen to? We reached out to one of our favorite local veterinarians, Dr. Jeanine Tweed, to settle the debate once and for all. Dr. Tweed works at the Lien Animal Clinic and has been practicing for 17 years. 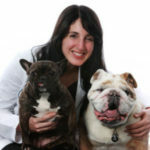 She won the Seattle Met Magazine’s Top Vet award in 2014, specializing in brachycephalic animals (flat skull, e.g., Pugs, English Bulldogs, and French Bulldogs) and combining Eastern and Western medicines. She says that she has a fair amount of experience with raw diets for dogs, and she “truly became aware of the benefits of feeding raw diets to dogs about a year ago when more and more of [her] clients seemed to be switching over to raw.” And, they were thriving on it! So what exactly does a raw diet look like? Whether homemade or commercial, most raw diets for dogs emphasize raw meat, bones, fruits, and vegetables. These foods are considered to be based on what canines ate before they became domesticated. Ian Billinghurst, the Australian veterinarian who proposed extending these feeding practices to family pets in 1993, contended that grain-based commercial pet foods were harmful to a dog’s health. Dr. Tweed agrees: “My professional opinion on raw diets for dogs is that it is the best possible food that one can feed to their dog. It most closely mimics what dogs would be eating if they were wild in nature.” In fact, she recommends it to her clients on a daily basis. The key, it seems, is making sure that your dog has a balanced diet and regularly gets the right amount of nutrients. Pet owners should especially pay close attention to the amount of fat, protein, calcium, and phosphorus. 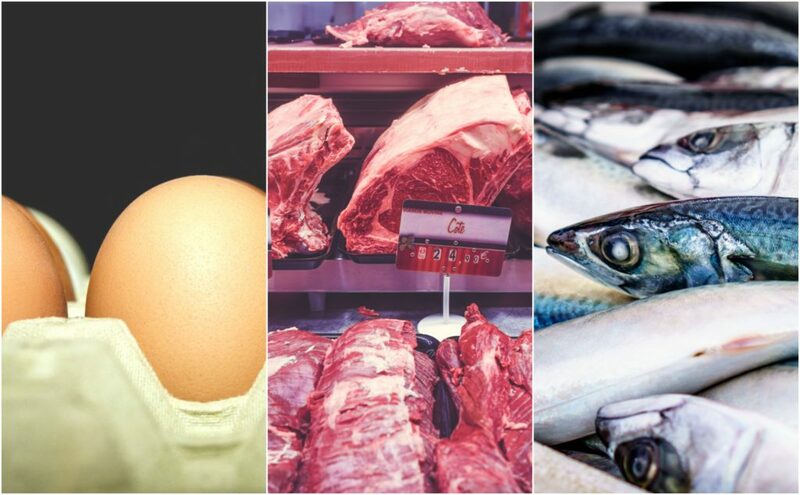 “Too little fat means a bad coat; but too much fat and not enough protein can cause mild anemia,” says Joseph Wakshlag, an assistant professor of clinical nutrition at Cornell University College of Veterinary Medicine. And, “if you don’t get the calcium and phosphorous ratio right, you can have bone deformities and growth issues” says Doug Knueven, DVM, of the Beaver Animal Clinic in Pennsylvania. Even some veterinarians who support raw dog food diets, however, say that they’re not appropriate for all dogs, so always make sure to consult with your veterinarian before making any changes in your dog’s diet. Disclaimer: Puget Sound Puppers are not pet health care professionals and you should always check with a veterinarian if you are concerned about anything your pet does or does not ingest.